. Published on 01/12/2016 . 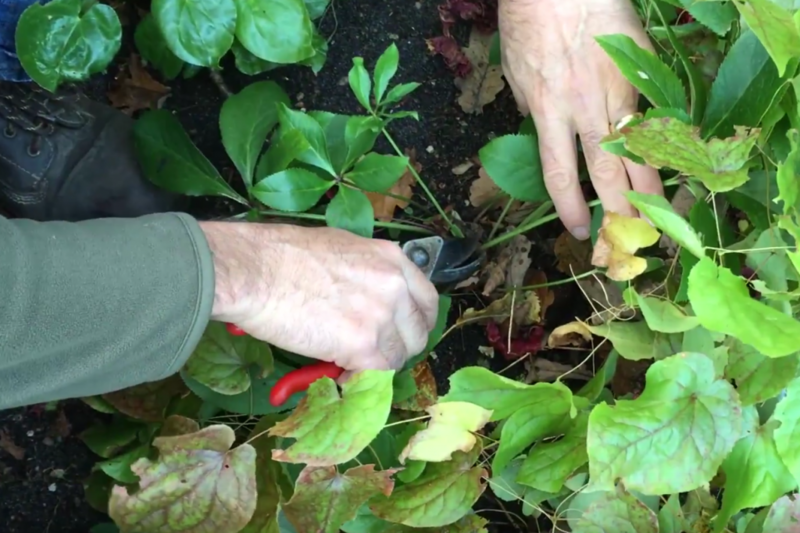 In this week’s instalment of our how to garden series Michael AKA @MikeTheGardener shows us all how to cut back hellebore. Cutting back hellebore will expose the new growth and buds so that you’ll get a healthy display of beautiful blooms in winter and early spring. Hellebore are fantastic flowers that give great Winter colour when there is little else about. To ensure you do get a good winter show it’s best to cut the old leaves back to expose the new growth and new buds. Hellebore can be prone to black spot so it’s wise to check the leaves and remove any that are showing signs of black spot. It’s advisable not to compost these leaves and instead dispose of them carefully.